What Can a Delivery Driver Job do For You? Is Delivery Driver Right For You? A career as a delivery driver can help you boost your professional life. Not only is this a career where you are on the go and self-directed, it is one where there is a lot of room for higher earnings and increased responsibilities as you go. It is not the right job for everyone, but those who thrive here often cannot picture themselves doing anything else. So what is a delivery job? It’s a pretty broad category, but we will take a look at some of the main types available here, talk about the application process, and give our two cents on the best way to get a job here, if that’s what you decide to pursue. Local delivery drivers are the most prominent people in this career path. These are the individuals driving the delivery box trucks that you see around your neighborhood. These include companies like FedEx, UPS, and DHL. The United States Post Office is also included in this category. Truck drivers, are the people that spend a lot of time out on the road. These are the semis that you see out on the highway—the long distance drivers—but they are also the people that transport goods from factories to warehouses, and then finally, their final retail outlets. These are also delivery drivers, but instead of delivering packages to private residences, they transport goods to companies and businesses. They are operating more on a commercial/business level. Drivers need to be able to do a few things, and there is no room for mistakes here. Drivers should be able to first and foremost get around town safely. You should have a clean recent driving record, and you should not have any sort of tickets, moving or non-moving, on your record, either. This is true for any type of delivery driver job you might be interested in pursuing. You should be able to prove that you are responsible, able to follow directions, and that you’re able to work well with lots of independence. 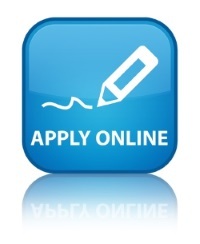 For most major delivery companies, the easiest way to apply for a position is to do so online. This is easy for you, which is nice, but it’s also easiest for the companies that will be processing your application. An online application reduces paperwork and since the process is automated, it’s a lot easier for the hiring manager to see your application and keep it organized. That’s a win-win situation, so if you can apply online, it should always be your first choice. If you have delivery experience, include this on the application. Be sure to include strong professional and personal references so that your character and work ethic can be made known to your prospective employer. So you submitted your application, and you got a call to come in for an interview. Awesome! But now what? The interview is your first in-person impression, and you need to make it a good one. While the application shows your basic qualifications for the position and can give examples of past experience and responsibilities, the interview is where management makes a decision about whether or not you’re right for the company. In other words, you are called into the interview because they think you have potential. The interview is where you get to show them that they were right. Doing this well is a whole different story, though. First, know what to wear for an interview. A delivery driver interview doesn’t require you to dress up in a suit and tie, but you should look like a professional. Dress conservatively in a button up, collared shirt if you’re a man, and a blouse and slacks if you’re a woman. You should be friendly and polite, and you should have some basic knowledge about the company you are applying to. If you apply to UPS, you are likely to be asked, “Why do you want to work at UPS?” You should be able to answer this question in a way that shows that UPS is your first choice to work for, rather than a competitor. If you apply to work with FedEx, the same holds true. If it helps, practice answering questions like this with a friend that you trust so that you can get honest feedback. Interviews can be tough and they make a lot of people nervous, so practicing and improving your interview technique will take you a long ways when it comes to bettering your chances of getting hired. And don’t forget that companies often get a lot of highly qualified applicants. If you don’t get hired, it’s not the end of the world. It just means that you weren’t the best choice for hiring at this specific time. There are many different delivery companies out there, and if this is a career path that you are set on, there are plenty of opportunities out there for you to find the right job.